Eating Animals (2009) offers a comprehensive view of the modern meat industry and demonstrates how the entire production process has been so completely perverted that it is unrecognizable as farming anymore. 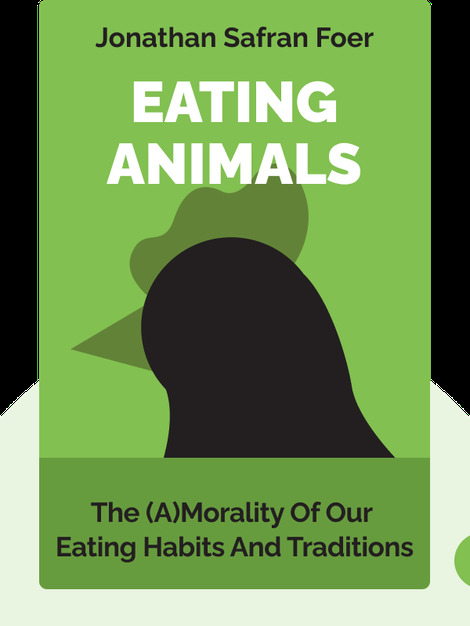 The book explains the moral and environmental costs incurred to achieve today‘s incredibly low meat prices. Anyone interested in how meat is produced today and what the consequences are for people, animals and the environment. Anyone who thinks of food as an important part of their lives, from full-blooded meat-eaters to vegetarians and vegans. Jonathan Safran Foer is a promising young novelist from New York who has written the international bestsellers Everything is Illuminated and Extremely Loud & Incredibly Close. Contemplating the responsibilities of fatherhood lead the author to question what kind of diet he wished to provide his firstborn son. 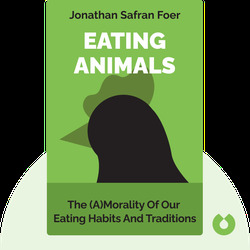 Eating Animals documents his findings and reflections on the topic.